Blood sugar control is key for eye health in patients with diabetes, says David Benderson, M.D., an ophthalmologist with Valley Medical Group in Ridgewood, NJ. Newswise, November 30, 2016 — Loss of vision is one of the many dreaded complications of diabetes. Over 5.3 million Americans suffer from diabetes-related retinal disease or diabetic retinopathy. After 20 years of living with diabetes, nearly all type 1 diabetics will have some degree of diabetic retinopathy, as will approximately 60 percent of type 2 diabetics. Some of these patients will experience significant vision loss. If you think of the eye as a camera, the retina is the film. This important structure translates images into electrical signals, which are then sent to your brain for processing. 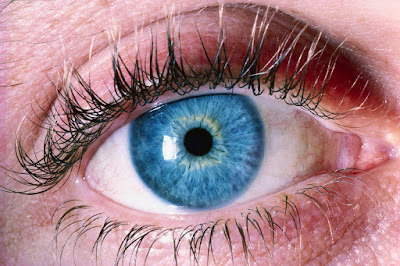 High blood sugar levels associated with diabetes damage small blood vessels throughout the body, including the retina. Advanced diabetic retinopathy can cause a devastating form of glaucoma due to growth of unhealthy blood vessels on the iris (neovascular glaucoma). Elevated blood sugar can also result in swelling of the lens, which can temporarily change a patient’s glasses prescription, resulting in blurry vision. Once the blood sugar is controlled, the lens swelling resolves. Additionally, diabetics are at a higher risk for developing cataracts, or permanent clouding of the lens. A multi-pronged approach is necessary to prevent and treat diabetic eye disease. To begin with, it is essential that diabetics work closely with their primary care physician and, in many cases, endocrinologist, to keep their blood sugar under good control. Other health care providers, such as nurse educators and nutritionists serve an essential role in diabetes management. Large studies have shown that tight control of blood sugar reduces the risk of diabetic complications, including retinopathy. 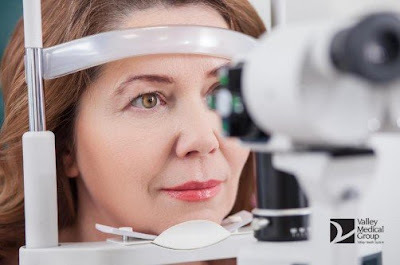 Furthermore, diabetics should undergo a complete eye examination, including dilation (in order to view the retina and other structures) on a yearly basis. If a diabetic patient develops diabetic retinopathy, more frequent examination may be necessary. If macular edema or proliferative diabetic retinopathy develop, early diagnosis and treatment is essential to preserving vision. Conversely, if a diabetic patient waits until they have vision loss to visit the doctor, treatment may be less effective. Ultimately, prevention is the best tool to combat diabetic eye disease. Effective control of blood sugar and blood pressure, maintaining a healthy and balanced lifestyle, and regular follow-up with a primary care physician and ophthalmologist are key elements in avoiding vision loss from diabetes. Newswise, November 30, 2016 —— Walking is a milestone in development for toddlers, but it’s actually only one part of the complex cognitive task known as gait that includes everything from a person’s stride length to the accompanying swing of each arm. A Mayo Clinic study recently published in the Journal of Alzheimer’s Disease found that problems associated with gait can predict a significant decline in memory and thinking. Using the Rochester Epidemiology Project, Mayo Clinic researchers examined medical records of Olmsted County, Minnesota, residents, who were between ages 70 to 89 as of Oct. 1, 2004. The analysis included 3,426 cognitively normal participants enrolled in the Mayo Clinic Study of Aging who had a complete gait and neuropsychological assessment. Alterations in several gait parameters were associated with decline in memory, thinking and language skills, and visual perception of the spatial relationship of objects. The study results also supported the role of computerized analysis because the computer tool detected modifications before impairment was detected with a standard neuropsychological test. • Rosebud Roberts, M.B., Ch.B. • Ronald Petersen, M.D., Ph.D.
Newswise, November 30, 2016 — Beneficiaries of Medicare who develop cancer and don’t have supplemental health insurance incur out-of-pocket expenditures for their treatments averaging one-quarter of their income with some paying as high as 63 percent, according to results of a survey-based study published Nov. 23 in JAMA Oncology. Researchers at the Johns Hopkins Bloomberg School of Public Health and the Johns Hopkins Kimmel Cancer Center say their study shows that a cancer diagnosis can be a serious financial hardship for many elderly and disabled who receive Medicare, with annual out-of-pocket costs ranging from $2,116 to $8,115, on top of what they pay to have health insurance. 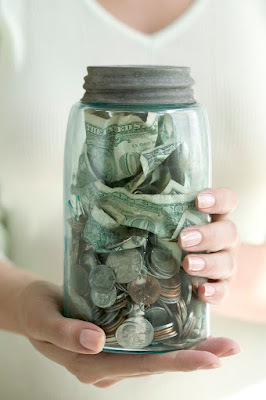 The research shows that hospitalizations are a major driver of out-of-pocket costs. Cancer treatment contributes more to health care costs in the United States than treatment for any other disease, say the researchers. “The spending associated with a new cancer diagnosis gets very high quickly, even if you have insurance,” says one of the study’s authors, Lauren Hersch Nicholas, PhD, MPP, an assistant professor in the Department of Health Policy and Management at the Bloomberg School. For their study, Nicholas and Amol K. Narang, MD, an instructor in the Department of Radiation Oncology and Molecular Radiation Sciences at the Johns Hopkins University School of Medicine and member of the Kimmel Cancer Center, examined data from more than 18,000 Medicare beneficiaries who were interviewed biennially between 2002 and 2012 for the Health and Retirement Survey. The survey is funded by the National Institute on Aging and includes data from seniors in the U.S. with wide geographic, socioeconomic and ethnic representation. Over the course of the study period, more than 1,409 people received a cancer diagnosis. Medicare covers just 80 percent of outpatient health costs and has co-pays of $1,000 for each hospital visit. In the study, 15 percent of participants had Medicare alone. Others had some type of supplemental insurance: 50 percent had a Medigap plan or were still receiving employer or retiree benefits; 20 percent participated in a Medicare HMO; nine percent received Medicaid (the federal plan for the poorest Americans); and six percent got benefits from the Veteran’s Administration (VA). 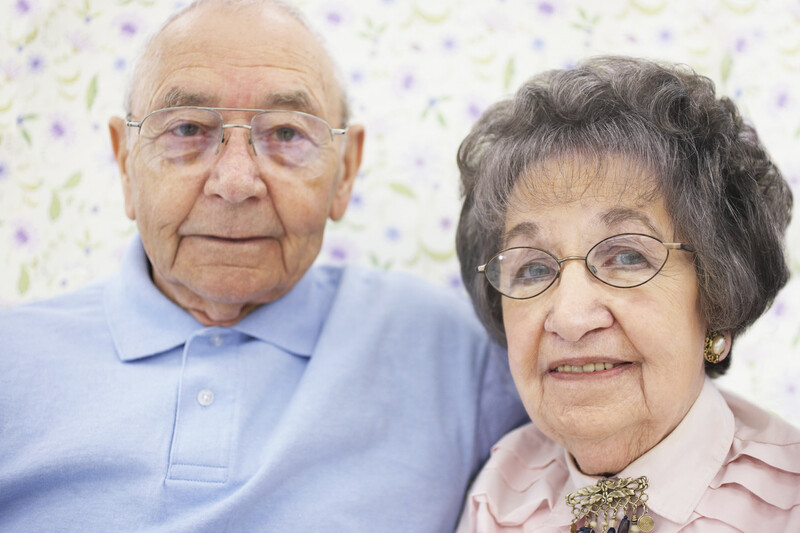 Each type of insurance covers a varying amount of the costs that Medicare doesn’t cover. The researchers found that the average annual out-of-pocket costs associated with a new cancer diagnosis were $2,116 for Medicaid beneficiaries; $2,367 for the VA; $5,492 for those with employer-sponsored plans; $5,670 for those with Medigap; $5,976 for those with a Medicare HMO; and $8,115 for those without supplemental insurance of any kind. There are no caps on how much Medicare beneficiaries can be asked to pay. Survey respondents without supplemental insurance reported that their average annual out-of-pocket costs were one-quarter of their annual income and, of those, 10 percent reported that those costs were at least 63 percent of annual income. The researchers say one solution, though expensive, would be to cap the amount of out-of-pocket costs a patient can be charged each year. Many private insurance plans have such caps, known as catastrophic coverage. Congress would need to enact such a reform. Narang and Nicholas found that inpatient hospitalizations accounted for between 12 percent and 46 percent of out-of-pocket cancer spending depending on whether and what type of supplemental insurance a patient had. Inpatient care can be necessary for surgical procedures and to handle severe side effects of treatment. Narang says that doctors can help avoid hospitalizations with more intensive outpatient management of common side effects. He also points to the Kimmel Cancer Center’s urgent care clinic which has reduced hospitalization rates in patients undergoing cancer therapy. For example, among those undergoing radiation, the average number of patients who were hospitalized during their course of treatment or within 60 days decreased from 35 per month to 18 per month after the clinic opened. Of note, 10 percent of hospitalizations over this time resulted in patient liabilities of more than $2,000; among Medicare patients without supplemental insurance, 10 percent of their hospitalization-associated patient liabilities exceeded $10,000. The researchers say that the study’s limitations include the potential for inaccuracies in survey respondents’ answers, misclassification of data or incomplete reporting. For the study, the researchers provided ranges within certain survey questions when respondents could not identify a specific value. Because the study did not identify specific information on the type of hospitalizations among survey respondents, Narang says that more research is needed to understand which of these hospitalizations are truly preventable. “Out-of-pocket spending and financial burden among Medicare beneficiaries with cancer” was written by Amol K. Narang and Lauren Hersch Nicholas. The study was supported by a grant from the National Institute on Aging (K01AG041763). Newswise, November 19, 2016— In the past decade, ophthalmologists have been prescribing nutritional supplements to be taken daily to prevent or slow vision loss from age-related macular degeneration (AMD). Now, using nutritional supplements for eye health has become more common. But does increasing the recommended dose increase your protection? A case report appearing online in JAMA Ophthalmology from the Moran Eye Center at the University of Utah reveals what can happen when a patient takes more of a supplement than their body needs. In the article, Crystalline Maculopathy Associated with High-Dose Lutein Supplementation, principal investigator Paul Bernstein, M.D., Ph.D., describes a patient with no AMD or vision problems who was referred to the retinal clinic for crystal deposits in the macular region of the retina in both eyes. With physician follow-up, it was learned that for the past eight years, the patient took a daily lutein supplement (20 mg) in addition to a diet rich in lutein, which included a broccoli, kale, spinach, and avocado smoothie every morning; she was therefore consuming much more than twice the recommended dose of lutein for an AMD patient (10 mg per day). Lutein is part of the AMD prevention supplement regimen that was created based on results from the AREDS2 (Age-Related Eye Disease Study 2) clinical trial. In that trial, researchers found that patients at high risk for visual loss from AMD who took lutein (10 mg) and zeaxanthin (2 mg) supplements reduced their risk of progressing to late stage AMD. Lutein and zeaxanthin are carotenoids—antioxidants made by plants—that are believed to neutralize light-induced damage in the eye. Humans don’t make carotenoids, so they can only be added to the body by eating plants or taking supplements. “When we looked at the patient’s carotenoid levels in serum, skin, and the retina, all measurements were at least two times greater than carotenoid levels in patients not taking nutritional supplements,” said Bernstein. This case report must followed up by a larger clinical trial before the results can be considered conclusive but it serves as an indicator that there may be negative effects from consuming lutein considerably higher than the recommended AREDS2 dose. Newswise, November 19, 2016 - High blood pressure in middle age can lead to impaired cognition and is a potential risk factor for Alzheimer’s disease, according to a statement from the American Heart Association co-authored by Loyola Medicine neurologist José Biller, MD. Dr. Biller is a member of the multidisciplinary panel of experts that wrote the statement, published in the heart association journal Hypertension. Dr. Biller is chair of the department of neurology of Loyola University Chicago Stritch School of Medicine. The panel is chaired by Constantino Iadecola, MD, of Weill Cornell Medicine and co-chaired by Kristine Yaffe, MD, of the University of California San Francisco. Dementia affects an estimated 30 to 40 million people worldwide, and the number is expected to triple by 2050 due to an aging population and other factors. An estimated 80 million people in the United States have hypertension, and the brain is among the organs most affected. Except for age, hypertension is the most important risk factor for vascular problems in the brain that lead to stroke and dementia. There is consistent evidence that chronic high blood pressure during middle age (40 to 64) is associated with altered cognitive function in both middle age and late life (65 to 84). The effect of high blood pressure in late life is less clear. Some studies suggest it’s harmful, while other research suggests it may improve cognition. This highlights “the complexities of recommending uniform levels of blood pressure across the life course,” the expert panel wrote. Observational studies have demonstrated that high blood pressure causes atherosclerosis (hardening of the arteries) and other damage to the brain’s blood vessels, leading to reduced blood flow to brain cells. But evidence from clinical trials that treating blood pressure improves cognition is not conclusive. After carefully reviewing available studies, the panel concluded there are not enough data to make evidence-based recommendations. 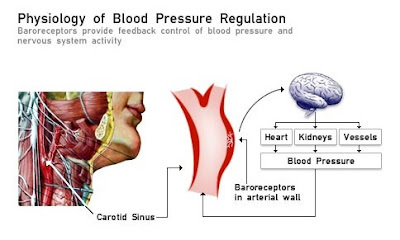 However, judicious treatment of high blood pressure, taking into account goals of care and the patient’s individual characteristics, “seems justified to safeguard vascular health and, as a consequence, brain health,” the panel concluded. 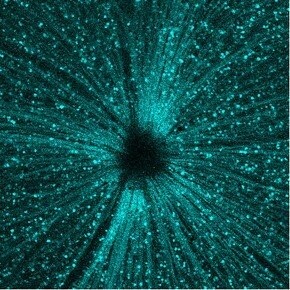 Retinal fibers from ganglion cell neurons (circles) stream through the optic nerve head on their way to brain. Newswise, November 19, 2016 — What causes vision loss in glaucoma? There are two common answers that at first may seem disparate: the first is pressure, as in elevated ocular pressure, and the second is damage to the optic nerve, which is the structure that sends visual information to the brain. Both answers are correct. Glaucoma involves sensitivity to ocular pressure (not just elevated pressure) that is translated or transduced to stress that degrades the optic nerve over time. Current glaucoma therapies lower pressure using eye drops, surgery, or both in order to reduce stress transduced to the optic nerve. This approach is effective for many patients. But for those who continue to lose vision, where should we turn for new clinical therapies? One idea is to consider where ocular pressure exerts its influence: the optic nerve head. This structure in the back of the eye defines where nerve fibers leave the retina and enter the optic nerve. The nerve head contains lateral structures that support these fibers but also couple the nerve to the rest of the eye. In this way, pressure in the front of the eye can cause stress to the optic nerve. While we do not understand precisely how this stress is conveyed, we do know that aging of the nerve head is likely to contribute to its susceptibility. By addressing age-related factors, new research might reveal therapies based on reducing the sensitivity of the nerve head to pressure. What about the optic nerve itself? Like the brain, the optic nerve and retina are part of the central nervous system. Once damaged beyond a certain point, these structures cannot heal. For patients who have lost substantial optic nerve tissue in glaucoma, the hope of regenerative medicine is to restore connectivity with the brain by introducing new nerve fibers or inducing damaged ones to regrow. Another area of promise that may be forthcoming leverages the idea that increasing brain activity in some cases increases its resistance to stress. Catalyst for a Cure (CFC) research has demonstrated a "window of structural persistence" in which connectivity between the optic nerve and brain remains even when glaucoma affects visual function. During this "window," optic nerve fibers attempt to boost their electrical activity through natural self-repair mechanisms. New research by CFC investigators shows that enhanced activity can also help optic nerve fibers regenerate. Perhaps the best approach to a new type of nerve-based glaucoma treatment would combine optic nerve regenerative techniques with those that promote intrinsic repair in the brain. Article by David J. Calkins, PhD, the Director of Vanderbilt Vision Research Center, Vice-Chairman and Director for Research at The Vanderbilt Eye Institute, and the Denis M. O'Day Professor of Ophthalmology and Visual Sciences at The Vanderbilt University Medical Center. Newswise, November 15, 2016— People experience many changes as they age, and that includes changes in their skin. The body’s largest organ evolves over time, so it’s important for one’s skin care routine to evolve with it. 1. Select products tailored to your skin type — for example, special formulations for sensitive skin, moisturizing products for dry skin, and oil-free or noncomedogenic options for oily skin. 2. Protect your skin from exposure to ultraviolet radiation from the sun and indoor tanning beds, which can lead to skin cancer and early skin aging. The American Academy of Dermatology recommends that you shield yourself from the sun’s harmful UV rays by seeking shade, wearing protective clothing and using a broad-spectrum, water-resistant sunscreen with an SPF of 30 or higher. 3. Use a retinoid, unless it dries out or irritates your skin. Retinoids increase cell turnover to exfoliate clogged pores and reduce the appearance of fine lines, which means they can effectively treat both acne and wrinkles. While these steps form the foundation of most skin care regimens, each individual’s skin care routine should be based on her age and her skin’s specific needs. To kick off National Healthy Skin Month, three board-certified dermatologists discuss the top skin care concerns of women in their 20s, 30s and 40s, and provide skin care tips for each age group. When women in their 30s come into her Augusta, Ga., private practice to seek treatment for dark spots, board-certified dermatologist Lauren Eckert Ploch, MD, MEd, FAAD, always provides them with tips for prevention. “If you have dark spots at this point in your life, you’re at risk for getting more as you grow older,” she says. Because UV exposure causes dark spots, Dr. Ploch reminds her patients in their 30s about the importance of sun protection. When applying their SPF 30 sunscreen each morning, she says, it’s vital for women in this age group to make sure they cover their neck and chest in addition to their face, especially if they commute. “Because UVA rays can travel through window glass, you need to make sure you’re protected if you’re spending a lot of time in the car or on a train,” she says. Women who received unprotected UV exposure when they were younger may start to see dark spots on their temples and cheeks when they reach their 30s, Dr. Ploch says, and these spots may be mistaken for melasma, a condition that causes brown patches to appear on the face. While lightening agents like hydroquinone are a good option for melasma, she says, they usually aren’t effective in treating dark spots. Instead, Dr. Ploch recommends that patients with dark spots follow a multipronged treatment plan. In addition to sun protection, she says, topical vitamin C and retinoids may be used for both treatment and prevention. Laser surgery and cryosurgery are also options for reducing the appearance of dark spots, she says, but these procedures should only be performed by a dermatologist or another experienced medical professional. Dr. Ploch estimates that about half of her patients in their 30s are dealing with both wrinkles and acne. As a result, she says, many patients in this age group may not be able tolerate wrinkle treatments designed for more mature skin because these heavier formulas can aggravate acne or cause milia, small cysts that occur when dead skin cells become trapped at the surface of the skin. Dr. Ploch recommends women in their 30s use a retinoid to address both wrinkles and acne. Dr. Ploch also suggests that women in their 30s use a light antioxidant serum to protect their skin from the elements and improve signs of early skin aging, and she says those who are concerned about wrinkles also may want to consider botulinum toxin and hyaluronic acid fillers. A low dose of botulinum toxin can minimize muscle movements that lead to future wrinkles, she says, and hyaluronic acid fillers can restore volume loss, reducing the appearance of lines around the mouth. While spider veins are one of the most common problems for women in their 30s, Dr. Ploch says, they’re also one of the least-addressed problems in this age group. Many women believe that treatment would be too invasive or expensive, she says, so they leave the condition unaddressed, allowing it to get worse as they get older. According to Dr. Ploch, however, laser surgery and sclerotherapy are two accessible and noninvasive treatment options that women in their 30s may want to consider if they have spider veins. She also suggests that women in this age group take preventive measures against the emergence and progression of this condition. Pregnancy and frequent standing are two risk factors for spider veins, Dr. Ploch says, and the condition takes several years to develop, which is why it often appears in women when they reach their 30s. To help relieve the pressure that causes spider veins, she recommends that women wear compression socks, elevate their legs when possible and exercise, especially if they work in a field that requires prolonged standing, like health care or education. As people age, their skin begins to lose collagen and elastin, making it thinner and looser, without the resilient, springy quality of youthful skin, says board-certified dermatologist Anne M. Chapas, MD, FAAD, a clinical instructor of dermatology at Mount Sinai Medical Center in New York. Skin laxity is most prevalent on the face and neck, she says, but it can occur anywhere on the body, including the arms, abdomen and thighs. Everyone will experience some amount of skin laxity as they get older, Dr. Chapas says, but the degree of laxity depends on many factors, including sun damage, exposure to pollution, diet, weight fluctuations and lifestyle factors such as smoking. According to Dr. Chapas, energy-based treatments such as microfocused ultrasound and radiofrequency microneedling can help improve skin laxity by promoting the production of collagen and elastin to create firmer skin. “Imagine wrapping your loose skin in shrink wrap to pull everything tighter — that’s the kind of effect these energy devices can have,” she says. Dr. Chapas says filler injections also can improve skin laxity by replacing lost collagen and elastin. “If you picture your skin as a tablecloth, then you can think of fillers as a sturdier table for it to rest on,” she says. In addition to losing collagen and elastin as they age, Dr. Chapas says, women also lose fat in areas like the face and hands, resulting in a loss of skin volume. As a result, she says, women in their 40s may experience sagging skin, as well as prominent bones and veins. According to Dr. Chapas, noninvasive treatments with dermal fillers and energy devices can help restore lost volume in addition to improving skin laxity. These treatments also may be combined to provide the best possible results, she says. In addition to seeking treatment for lost collagen, Dr. Chapas also recommends that women in their 40s take steps to preserve the collagen they still have. Women in their 40s may have unwanted body bulges as the result of a slowing metabolism, pregnancy or other lifestyle changes, Dr. Chapas says. Even if women exercise regularly and are otherwise fit, she says, it may be difficult for them to eliminate fat in areas where the body is designed to store it, including the torso and the legs. According to Dr. Chapas, women in their 40s who have isolated pockets of fat are ideal candidates for noninvasive body sculpting procedures like focused ultrasound, thermal energy treatment and cryolipolysis, all of which create areas of damaged fat that the body gradually removes. While these treatments can be performed anywhere on the body, the waistline and thighs are the most commonly treated areas, Dr. Chapas says, while the neck and bra spillover area are currently gaining popularity. Dr. Chapas says interest in these body sculpting treatments has surged in recent years because the procedures are noninvasive, quick and effective, with little downtime for patients. Although liposuction remains the gold standard for fat removal, she says, other body sculpting procedures can provide subtle results for women who want to address problem areas without undergoing an invasive procedure. No matter your age or skin concern, a board-certified dermatologist can answer your questions about skin health and help you develop a skin care plan that’s right for you. “Each morning, I apply an antioxidant serum that contains vitamin C. I follow this with a zinc oxide-containing sunscreen. I apply a retinoid product three to four nights per week, which is as often as I can tolerate it without irritation. I attribute my even, acne-free complexion to my retinoid — it’s the one skin care product I could not go without. “I have treated my dark spots with various lasers and found them to be very effective as long as I protect myself from the sun after treatment. For wrinkles, botulinum toxin has ensured that I don’t have any! I started getting the occasional botulinum toxin injection in my mid 20s but began regularly injecting myself every four to six months in my early 30s. I prefer injecting smaller doses over the span of a few weeks to ensure that I always retain some natural expression. I also had a hyaluronic acid filler treatment last year and plan to follow up with additional treatments as necessary to restore volume lost over the past decade. “I’ve had noninvasive radiofrequency tightening treatments and dermal fillers regularly over the last few years. I also really like laser resurfacing, which removes damaged skin cells and replaces them with new ones. I think that smaller, regular, preventive in-office treatments, in addition to sun protection and topical retinoid use, have helped to maintain my youthful, healthier looking skin. Newswise, November 15, 2016 — Like many people his age, Jerry Lucier, 54, of Northville, never got the flu shot. Then, in April, he almost died as a result of an H1N1 flu infection and was transferred by medical helicopter to the ECMO unit at Beaumont Hospital, Royal Oak. ECMO stands for extracorporeal membrane oxygenation. H1N1 is a flu strain especially aggressive in individuals aged 25 to 64. “I didn’t used to believe in the flu shot,” said Lucier, who has no underlying medical issues. Lucier’s condition deteriorated rapidly when his flu turned into pneumonia, filling his lungs with fluid, making it nearly impossible for him to breathe. Not even a ventilator could save him. For Lucier, early transfer to a hospital that provided ECMO, was key. Beaumont, Royal Oak is one of three Extracorporeal Life Support Organization hospitals in Michigan providing ECMO to adult patients. This technology helps patients unable to breathe on their own take in oxygen. Getting an annual flu vaccine is still the first and best way people age 6 months and older, can prevent getting the flu in the first place. For optimum results, vaccinations should be administered just before cases start appearing, which is in October or November, explained Dr. Matthew Sims, director of Infectious Disease Research for Beaumont Hospital, Royal Oak. As long as new cases continue to flare, it’s not too late to get the vaccine, Dr. Sims said, adding the flu season usually peaks in February and lasts until May. Now, six months after diagnosis, Lucier is still working hard to get back to his old self. He’s lost 58 pounds, uses oxygen parts of each day and recently registered for another round of physical and occupational therapy to regain strength and stamina. If things go as planned, Lucier will finally return to his job as an electrician for Ford Motor Co. in April 2017. 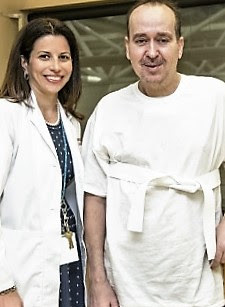 “I’m feeling better every day,” said Lucier, who looks forward to going back to work and the gym and spending time out with his wife, Minwa, their family and friends. • For the 2016/2017 flu season, only injectable flu shots are recommended. • You cannot get the flu from the vaccine. • If you get the vaccine and still catch the flu, it wasn’t all for naught. Experts say you likely would have been sicker, longer without the vaccine’s protection. • Because flu strains are constantly changing, previous vaccinations won’t protect you against a new season of flu bugs. • Egg-free vaccinations are available for those who may be allergic. Newswise, November 15, 2016 — It's never too late to reap the benefits of exercise, and that includes older adults with arthritis and other muscle and joint conditions, according to a study. Researchers at Hospital for Special Surgery (HSS) found that a low-impact exercise program in senior centers in New York City’s Chinatown and Flushing, Queens communities helped decrease pain, improve mobility and enhance quality of life for many participants. The study, titled, “Effects of a Culturally Tailored Low-Impact Exercise Program for Chinese Older Adults in NYC,” was presented at the American Public Health Association annual meeting on November 1 in Denver. According to the Centers for Disease Control and Prevention, Asian seniors had the highest rate of physical inactivity (defined as no physical activity beyond basic daily life activities), 29% of them lived in poverty, and 75% had limited English language proficiency in 2012. In addition, Chinese Americans were less likely to seek health care because of cost and language and cultural barriers. "In 2011, HSS developed the Asian Community Bone Health Initiative, a culturally-tailored low-impact exercise program aimed at improving musculoskeletal health in the underserved Chinese older adult community," said Minlun (Demi) Wu, MPA, research coordinator, Department of Public & Patient Education at Hospital for Special Surgery. "Joints will often stiffen if not used, and muscles will weaken if not exercised. Our bodies are meant to move, and inactivity leads to weakness and stiffness, and joints with arthritis often worsen with inactivity," said Theodore Fields, MD, director, Rheumatology Faculty Practice Plan at HSS. The exercise classes, which were free and open to community members, took place once a week for eight weeks. Participants performed chair and floor mat exercises using stretch bands and other gentle exercises. Certified bilingual instructors made the sessions culturally relevant by integrating Chinese breathing techniques and meditation into the program. A survey was distributed to participants before the classes started and again after they ended to evaluate pain, physical function, stiffness, fatigue, balance and other health indicators. A total of 256 adults completed the questionnaires between September 2011 and June 2016. Ninety-three percent of participants were female, and 73 percent were between 60 and 79 years of age. "Overall, the program was very well-received," said Wu. "After completing the classes, statistically significant differences were found in pain intensity, physical function, balance, and confidence about exercising without making symptoms worse." Participants also reported significant improvements in the ability to perform activities of daily living, such as lifting or carrying groceries; climbing stairs; bending, kneeling and stooping; and bathing and getting dressed. "The study results are consistent with the experience of rheumatologists and with prior studies showing that exercise, even of mild degree, helps with pain," said Dr. Fields. "Getting people up and moving does appear to help with mood, pain and overall functioning." "Given the social and financial implications of musculoskeletal diseases, it is paramount to identify effective programs that reduce the impact of these debilitating conditions," said Wu. "Our findings indicate that implementing a bilingual low-impact exercise program can play an important role in pain relief, improved quality of life and improved levels of physical activity in the underserved Chinese community." The classes are ongoing and have become so popular there is a waiting list. Newswise, November 15, 2016—Three low-carb meals within 24 hours lowers post-meal insulin resistance by more than 30 percent, but high-carb meals sustain insulin resistance, a condition that leads to high blood pressure, prediabetes and diabetes, according to a University of Michigan study. The study also found that two hours of moderate-intensity exercise, which is supposed to lower insulin resistance and blood sugar levels, has no impact on these results. To the contrary, blood sugar levels increase after the exercise, said Katarina Borer, professor in the School of Kinesiology and principal investigator in a study done with doctoral student Po-Ju Lin, now at the University of Rochester Medical Center. Insulin is a hormone critical in metabolism. Insulin sensitivity refers to insulin's ability to efficiently respond to and regulate glucose in the blood, so that our cells can use it for energy and other functions. If we're insulin resistant, insulin is less effective in removing glucose from the bloodstream and the pancreas must produce more insulin to help. This can eventually lead to diabetes. The study sample was small, Borer said, but the results are significant, in part, because they reinforce results in two preceding studies and one 2015 review on high-carbohydrate diets and their negative effects on insulin. In the U-M study, 32 post-menopausal metabolically healthy women were divided into four groups and given meals of either 30 or 60 percent carbohydrates with or without moderate-intensity exercise before meals. The low-carb group showed a reduction in insulin resistance after the third meal in the evening, but the high-carb group sustained high post-meal insulin, Borer said. The high-carb group's diet fell in line with the 45-to-60 percent daily carbohydrate intake the departments of Agriculture and Health and Human Services recommend, Borer said. "We showed an acute, one-day reduction in insulin resistance after the third low-carbohydrate meal eaten in the evening, so one could argue that this is transient and insignificant," Borer said. "But at least two other studies where high-carbohydrate meals were fed to volunteers for 5 and for 14 days show that the outcome was worrisome. “These subjects developed increased fasting insulin secretion and insulin resistance, increased glucose release by the liver which produced high blood sugar, and dramatically lowered fat oxidation that contributes to obesity. These then were more persistent effects that could be a path to prediabetes and diabetes. "What is remarkable about our findings is that they show that a simple dietary modification of reducing the carbohydrate content of the meals can, within a day, protect against development of insulin resistance and block the path toward development of prediabetes while sustained intake of high carbohydrate diets as shown in the two mentioned studies lead to increased fasting insulin secretion and resistance. “ And even more surprising and amazing is that exercise before the meals made the subjects more carbohydrate intolerant—that is, it increased evening blood sugar levels." Because exercise did not lower insulin resistance, it suggests that the insulin reaction the subjects experienced after the evening meal was driven by an intestinal response to the carbohydrate, and not by exercise. But this doesn't mean exercise doesn't influence insulin, she said. Going forward, Borer's lab will examine the timing of meals and whether insulin-lowering effect can be produced in the morning and whether blood sugar will decline when women exercise after low-carbohydrate meals. The study, "Third exposure to a reduced carbohydrate meal lowers evening postprandial insulin and GIP responses and HOMA-IR estimate of insulin resistance," appears in the Oct. 31 edition of PLOS ONE. Newswise, November 7, 2016- It's tempting to dip into the leftover Halloween treats, but new research out of York University has found eating plenty of fruits and vegetables, combined with regular exercise, leads to better cognitive functioning for younger and older adults, and may delay the onset of dementia. York U post-doctoral fellow Alina Cohen and her team, including Professors Chris I. Ardern and Joseph Baker, looked at cross-sectional data of 45,522 participants, age 30 to 80+, from the 2012 annual component of the Canadian Community Health Survey. What they found was that for those who are normal weight or overweight, but not obese, eating more than 10 servings of fruit and vegetable daily was linked to better cognitive functioning. When moderate exercise was added, those eating less than five servings, reported better cognitive functioning. Higher levels of physical activity were linked to the relationship between higher daily fruit and vegetable consumption and better cognitive performance. Those with higher body mass indexes, low activity levels and fruit and vegetable consumption were associated with poorer cognitive functioning. 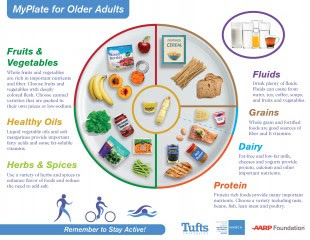 "Factors such as adhering to a healthy lifestyle including a diet that is rich in essential nutrients, regular exercise engagement, and having an adequate cardiovascular profile all seem to be effective ways by which to preserve cognitive function and delay cognitive decline," said Cohen. With rising rates of inactivity and obesity, the researchers wanted to know if there was a relationship between clusters of risk factors for cognitive decline, and how lifestyle factors might help prevent or delay it. Few studies have looked at the relationship between physical activity and eating fruit and vegetables and the effect it has on the brain for both younger and older adults. "It is pertinent that we develop a better understanding of the lifelong behaviours that may contribute to cognitive decline in late life by implementing a life-span approach whereby younger, middle-aged, and older adults are collectively studied, and where lifestyle risk factors are evaluated prior to a diagnosis of dementia," said Cohen. The paper, "Physical Activity Mediates the Relationship between Fruit and Vegetable Consumption and Cognitive Functioning: A Cross-Sectional Analysis," was published today in the Journal of Public Health, Oxford University Press. York University is known for championing new ways of thinking that drive teaching and research excellence. Our students receive the education they need to create big ideas that make an impact on the world. Meaningful and sometimes unexpected careers result from cross-discipline programming, innovative course design and diverse experiential learning opportunities. York students and graduates push limits, achieve goals and find solutions to the world's most pressing social challenges, empowered by a strong community that opens minds. York U is an internationally recognized research university - our 11 faculties and 26 research centres have partnerships with 200+ leading universities worldwide. Located in Toronto, York is the third largest university in Canada, with a strong community of 53,000 students, 7,000 faculty and administrative staff, and more than 295,000 alumni. York U's fully bilingual Glendon campus is home to Southern Ontario's Centre of Excellence for French Language and Bilingual Postsecondary Education. Newswise, November 7, 2016 — Using war metaphors in reference to Alzheimer’s disease should be replaced with messages of resilience against a complex, age-associated condition that may not be fully defeatable, according to a team of researchers. Framing a health issue through comparisons to warfare is common in popular media and medical and research communities. While it can motivate efforts to deal with the issue, this type of language and messaging can also create fear and stigma, turn patients into victims and divert resources from critically important prevention and care, said Daniel R. George, assistant professor of medical humanities, Penn State College of Medicine. Despite decades of failures in Alzheimer’s drug development, scientific attention continues to focus on drugs that “attack” a molecular compound called beta amyloid, with the goal of curing the disease. Amyloid is a key component of the plaques in the brain that are a hallmark of Alzheimer’s disease. Research, however, shows that the appearance of amyloid does not correlate with clinical symptoms and beta amyloid has repeatedly been found in the brains of one-third of “normal” elderly people. This suggests that amyloid may be a symptom rather than a cause of damage. A growing number of researchers believe that declaring “war” on Alzheimer’s by “attacking” amyloid may ultimately be an exercise in self-harm, particularly if amyloid is representative of the brain’s repair response, and may be channeling resources away from other drug-based approaches that do not assume amyloid toxicity. Scholars have argued that metaphors and narratives that treat disease as something to be attacked can be socially damaging to those affected. The value of such metaphors may be clearer for infectious diseases caused by single pathogens. It becomes more problematic when discussing diverse, age-associated syndromes like Alzheimer’s that may not be fully curable. In this way, war metaphors in medicine can invite ways of thinking that may not be scientifically or socially productive. “If applied in a careless manner, war metaphors can delude our sense of what’s possible therapeutically, and give false hope to people and caregivers who are suffering,” George said. George and his co-authors propose moving toward different types of metaphors – those that encourage use of words like “slow” or “postpone” rather than “prevent” or “cure,” and emphasize building “resilience” to aging processes in the brain rather than aiming at “absolute victory” over a disease. While “fighting” and “defeating” Alzheimer’s through drug development is important, the authors argue it may be wiser to acknowledge that Alzheimer’s is not a disease disconnected from the aging process like polio or malaria. The authors note that Alzheimer’s has been classified as a disease for the past 40 years. They suggest it may be more beneficial to take a lifespan-oriented approach that includes education about known biological, psychosocial and environmental risk factors, investment in societal programs and infrastructure that support brain health, and ensuring proper care for those affected and their caregivers. “While not as profitable as drug development, public health initiatives that reduce vascular risk factors, modulate oxidative stress and inflammation, guard against traumatic brain injuries, promote social engagement and lifelong learning, and reduce exposure to neurotoxins, and other commonsense actions should be an explicit component of our societal response (to Alzheimer’s)," the researchers wrote in the American Journal of Bioethics. George drew particular attention to the residents of Flint, Michigan being exposed to lead, a neurotoxin, through the water supply. “It is inexcusable that we could let our public infrastructure fail to the point where it becomes a contributor to Alzheimer’s disease risk for socio-economically disadvantaged citizens,” George said. Moving beyond the notion of being at war against Alzheimer’s could also serve to humanize cognitive aging. “There’s a widely-accepted myth that people who have Alzheimer’s are sort of non-people, akin to zombies,” George said. “There are ways to construct meaning around memory loss that show greater compassion and solidarity toward people with cognitive frailty rather than seeing them as passive victims in our biological war against the disease. Other researchers on this paper were Erin R. Whitehouse, Johns Hopkins University School of Nursing; and Peter J. Whitehouse, Case Western Reserve University. Located on the campus of Penn State Health Milton S. Hershey Medical Center in Hershey, Pa., Penn State College of Medicine boasts a portfolio of nearly $82 million in funded research. Projects range from the development of artificial organs and advanced diagnostics to groundbreaking cancer treatments and understanding the fundamental causes of disease. Enrolling its first students in 1967, the College of Medicine has more than 1,600 students and trainees in medicine, nursing, the health professions and biomedical research on its campus.